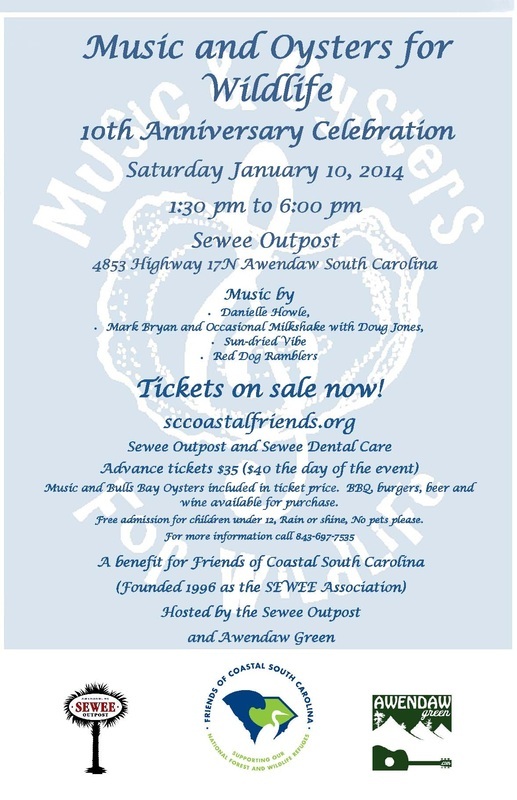 Join us at the Sewee Outpost to celebrate the 10th Anniversary of the Music and Oysters for Wildlife event in support of the Friends of Coastal South Carolina, formerly known as the Sewee Association. There will be live music, steamed oysters, craft beer and wine, and an excellent silent auction! Buy tickets to the event HERE.